One girl and a griffin against an empire: A dying land. Yukiko and her warrior father are forced to hunt down a griffin at the Shogun's command. But any fool knows griffins are extinct - and death will be the price of failure. 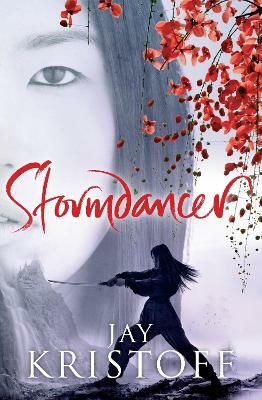 Set in steampunk Japan, Jay Kristoff's Stormdancer is full of mythic creatures, demons and Gods, and a strong female protagonist. Jay Kristoff grew up in the most isolated capital city on earth and fled at his earliest convenience. He worked in 'creative advertising' for eleven years and has won several awards that nobody outside the advertising industry gives a tinker's cuss about. He is 6'7", has approximately 13,870 days to live, and can demand whiskey in almost a dozen European languages. He lives in Melbourne with his wife and the world's laziest Jack Russell. Stormdancer is the first novel in the Lotus War series.